Better known as 'Orange jamine' this slow growing, more upright and compact, reaching 6ft. Tall, 4ft. Wide. 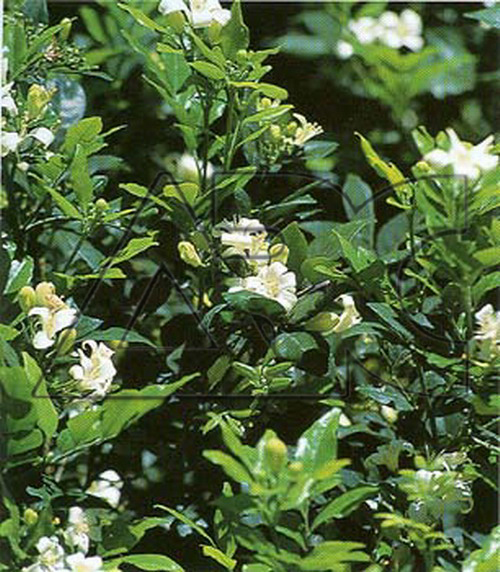 Its leaves are a lighter shade of green and give smaller, stiffer leaflets; bloom is usually less profuse.